During E3, I was able to sit down with Joel Emslie, the Lead Artist at Respawn Entertainment and one of the central forces behind Titanfall. I spent a lot of time trying to trick Emslie into accidentally saying the words "Titanfall 2" or spilling the beans on any upcoming DLC plans. But no sequels were accidentally announced, and no beans were spilled. Joel Emslie would have made a good politician. He did, however, talk about game's development process, and pointed out that Respawn's staff will often enter public servers to secretly eavesdrop on community complaints. "I know our lead designer, Justin Hendry, will play with the community all the time and listen to people. And if we hear something that sounds valid and legit, we'll go back to the office and try it out," Emslie said. "We also look at YouTube, a lot of videos that people have, and we'll reproduce those things in the office." The gaming community has a reputation for being difficult to please, but it's refreshing to see a developer that seeks out unsolicited criticism in order to improve its game. 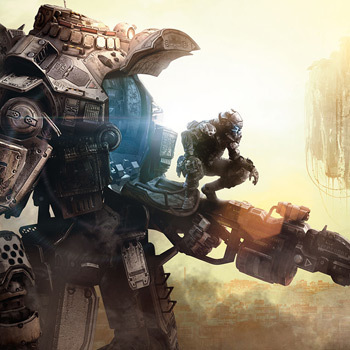 Titanfall is currently the best selling title on the Xbox One, and Respawn would like to keep it that way. "You have to listen to these guys," Emslie said. "A lot of times they have valid points. And you have to be responsible and fix it, to make your game better."